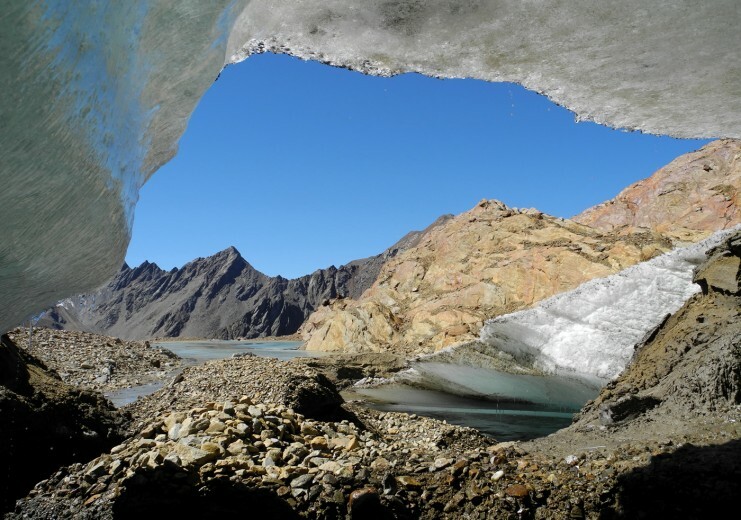 The Matsch Valley is an out-and-out paradise for hikers and mountaineers, with something to suit every taste from leisurely farm tours, lakes and Waalweg walks to summit climbs for all abilities and stunning glacier tours. 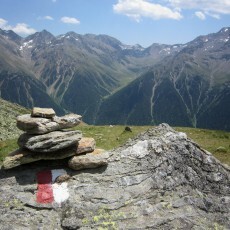 The Matsch Valley is connected by link-routes with the Schnalstal, the Langtauferer and Planeiltal Valley and even with Vent in the Ötztal Valley, another AVS Alpine Club Mountaineering Village. The following information on time and altitude differences always refer to the actual tour described, not the alternatives, and is to be taken as a guide. For the more challenging tours, a map is always highly recommended. 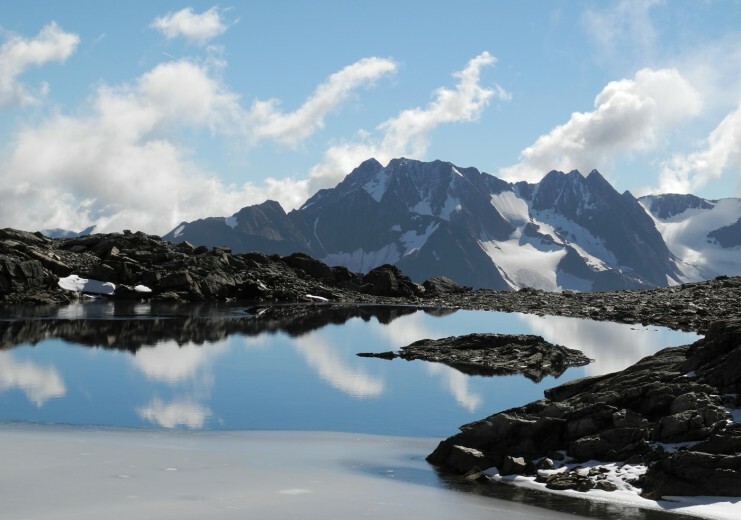 The tour to the “secret queen of the Ötztal Alps” calls for glacier equipment and experience in mountaineering in the high mountains. From the Oberettes mountain hut, trail no. 5b leads to the 3,000 m high saddle. From here we head towards the small basin of the Spaiktsee Lake and over a broad ridge down to the entrance to the glacier. 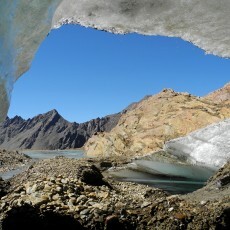 Over the glacier with its many crevasses, then the middle, up to the “Schwarzen Knottes,” then veer towards the left (north) to the large basin below the Quellspitzen. Here we meet up with the old route, which leads below the Inner Quellspitze towards the Hintereisjoch pass (3,469 m). Then we follow the ascent over the “Matscher Wandl,” a fairly steep south-facing slope, which must be tackled carefully in smooth ice or fresh snow conditions. Just above, the airy summit ridge begins, where a sure foot is a must. 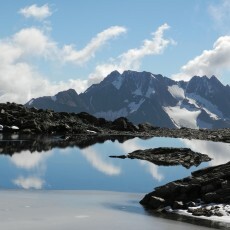 The Saldurspitze is a challenging, high-alpine, isolated tour high above the lake plateau. 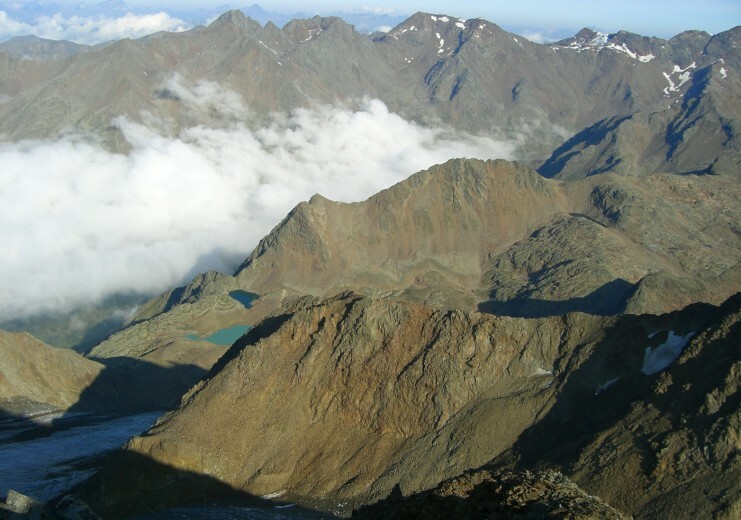 From the lakes, we head up to the glacier tongue of the Saldurferner to the north. A little further to the right we climb over the rugged Saldurferner to around the middle, where we make our way towards the gap between the Lazaun and Saldurspitze to our left. From the saddle we now head over the ridge, which is extremely exposed in part and calls for surefootedness, and straight to the summit. From the Glieshof follow the trail to the materials cable car and continue onwards to the gully. On the large expanse of land, we make our way over to the orographic right side of the valley.
. A few hundred metres further on, we get to a large stone with signpost. 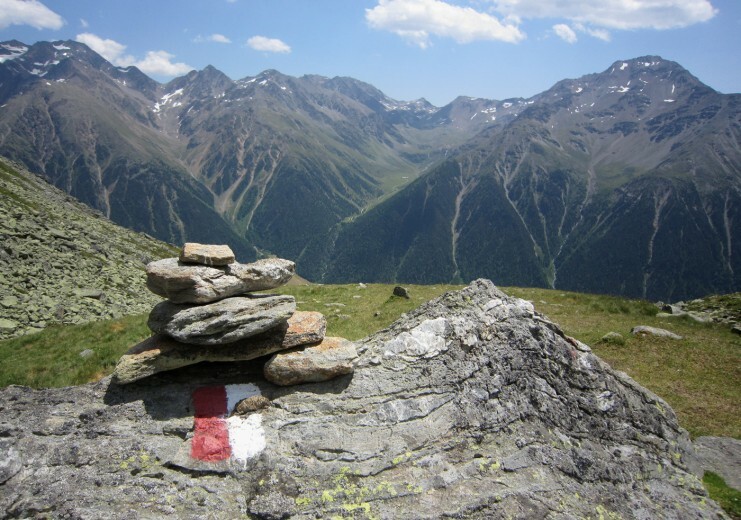 The signposted trail leads along the Gawelzbach to the north, up to the saddle of the Schnalser Scharte saddle at 3,127 metres (so named as it used to be an important passage from the Matsch Valley to the Schnalstal Valley). From the saddle, continue onwards to the Rabenkopf summit. Keep to the ridge, as the north side is glaciated and crevassed. Then make our on to the side summit and head downwards to the magical Matscherjochsee Lake. 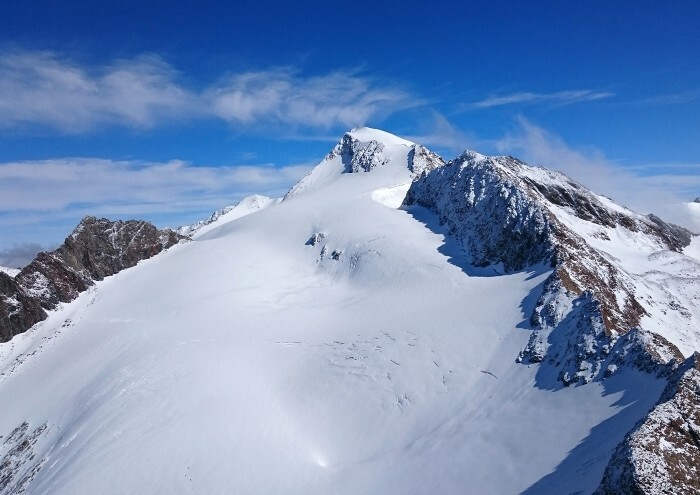 If you want, you can also conquer another summit and continue onwards to the Freibrunner Spitze (3,363 m). 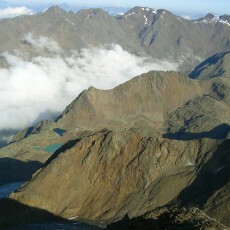 The Valvel is a magnificent viewpoint mountain between the Planeil and Matsch Valley. As an incentive, mountaineers can look forward to a stunning marble table at the top, perfect for a fortifying speck, cheese and bread break. We climb up from the gully to the very end of the Matsch Valley on trail no. 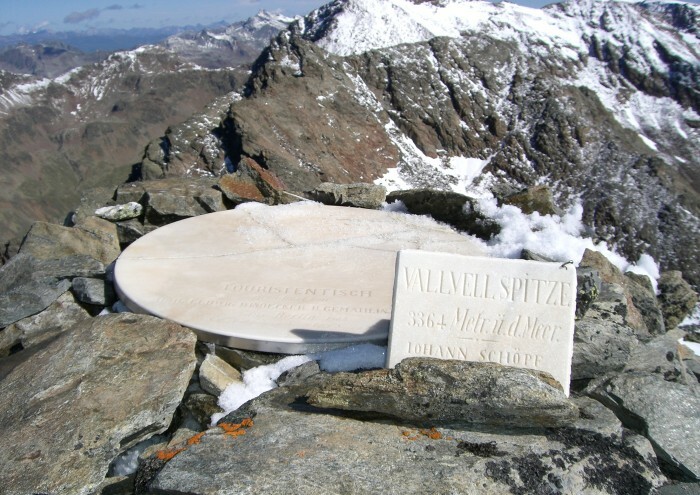 7, high up to the Semmlerstein stone, where we find an old signpost pointing us towards the Valvelspitze. 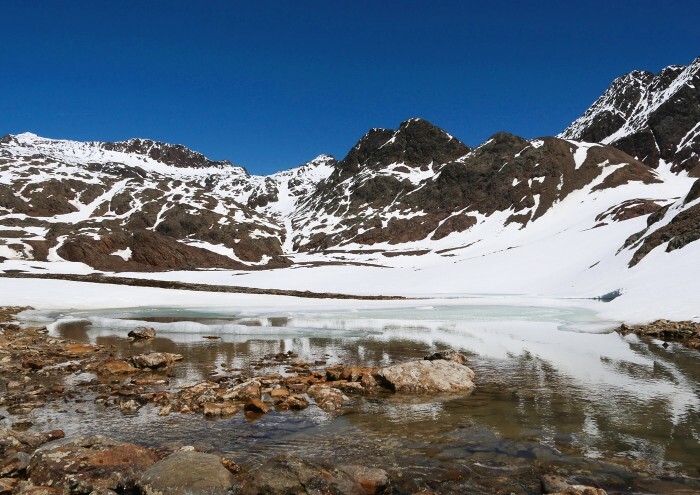 The easiest route now leads west through the wide Mittergawelz Valley between the Gawelzspitz and Pleres up to about 3,000 metres, then northwest to the deepest saddle on the ridge between the Valvel and the Plerespitze. 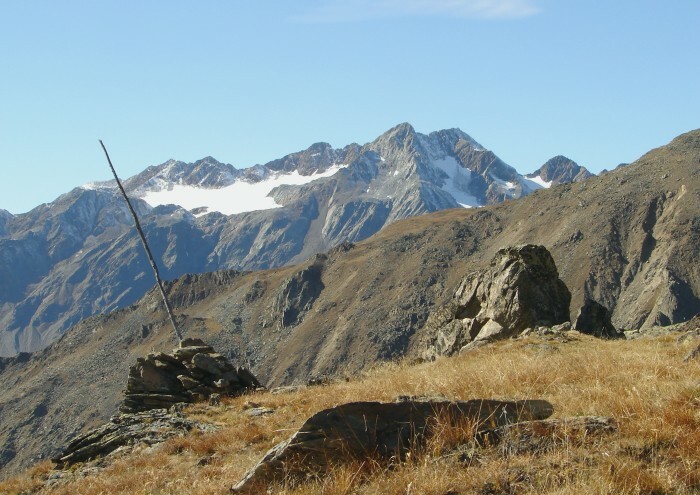 Due to some tricky passages, continuing on from the saddle directly on the ridge towards Valvel is not recommended. A better route is to descend about 100 metres southwest on the Planeiler side and ascend the stony and steep terrain of the southern slope to the summit.